The Hotel Olivone & Posta offers its guests its tastefully furnished sober and elegant rooms all equipped with modern amenities. Whether in Blenio Valley for business or pleasure, alone, with your family or in group we will for sure meet your needs. Furthermore you can take advantage of our parking spaces reserved for customers and, during the summer season, our large garden on the sunny south side of the hotel. The rooms facing South overlooks a breathtaking landscape and our wonderful garden. 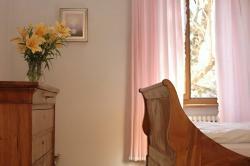 All rooms are equipped with telephone, radio, cable TV. 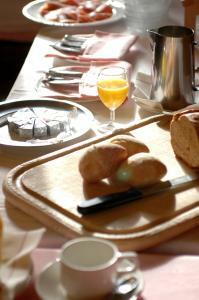 Black bread, rolls, butter, jam and honey, yoghurt, cereal, cornflakes, fresh cheese "Büscion", formagella from Ticino, ham.